As a parent we must be conscious of websites our children have access to. Part of our parental control is to make sure our children are not exposed to using adult websites or seeing adult contents. 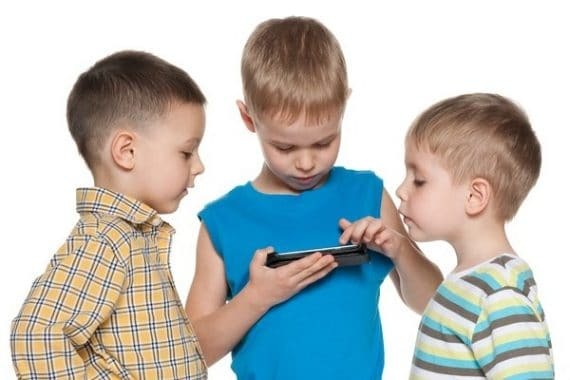 But how is that possible with various adult contents apps for Android phones that are liable to expose our children into things that are far above their ages? The only way out is to block such a website on their Android phone and make sure they do not have access to it either on their personal computer or smartphone, and if possible such websites IPs should be blocked. There are varieties of ways to block websites on Android though. The most popular one involving changing your device host file DNS but that can be really complex. For simplicity, to block adult content on Android you only need to get the adults sites names and add it to the list of websites to be filtered. Computer browsers like Google Chrome has a feature to block adult contents websites without extension but how can one apply the same techniques to block adult contents on Android phone without rooting? You can also block your children from access adults contents on YouTube but filtering YouTube site name as one of the list of websites to be blocked on your Android phone. In fact, these adults contents sites are inappropriate websites that are needed to be blocked. If you also have an offensive sites name you can also add it to the list of blocked websites on your Android phone just as if you choose to blacklist the website IP address and you will not be able to access the website. There are varieties of ways to block inappropriate websites on Android phone without rooting. You can use Android apps to block adults site names on your smartphone. The first one involves changing hosting files where you can easily edit your Android DNS and blacklist the website. We would have love take a look at how to block certain website such as adult contents websites on Android phone using ES File Explore on Android phone but the procedure doesn’t capture OperaMini browser on Android phone. Note that this procedure will change your host file DNS but will grant you parental control over your children’s phone and the type of websites that can have access to but it fails to put Opera mini under control. Even if you blocked websites using ES File Explore you will still be able to access it on Opera Mini. Trend micro is an Android security app to secure Android phone from all form of malware and viruses. At the same times, it can be used as a parental control measure to block inappropriate websites on Android phone. Trend Micro app captures users from accessing any blocked websites on Android phone even on Opera Mini unlike ES File Explore. Download and Install Trend Micro security app directly from Google play store. Micro Trend is a paid Android app with 7 days free trial. After the 7 days trial period you can then choose to get the premium version if it the app work perfectly for you. Launch Trend Micro and click on the ellipsis, that is the three dots to the upper right of Trend Micro page and click on settings. If you already have an account with Trend Micro sign in into your account and login. But if you are new to using Trend Micro click on create an account. Navigate back to trend micro page and scroll down the page and hits the parental controls option and enter your account password to continue. A new page will populates showing two options: App lock and website filter. Click on website filter and toggles the website filter option to enable website filtering option to add the list of websites you would love to block on your Android phone. A new page will pops up telling you to turn on the feature. Then click on turn on and you will be taken to your phone accessibility. Click on mobile security option and turn the option on. Now the website filtering has enable we can now go ahead to add the list of websites to be blocked on your Android phone. 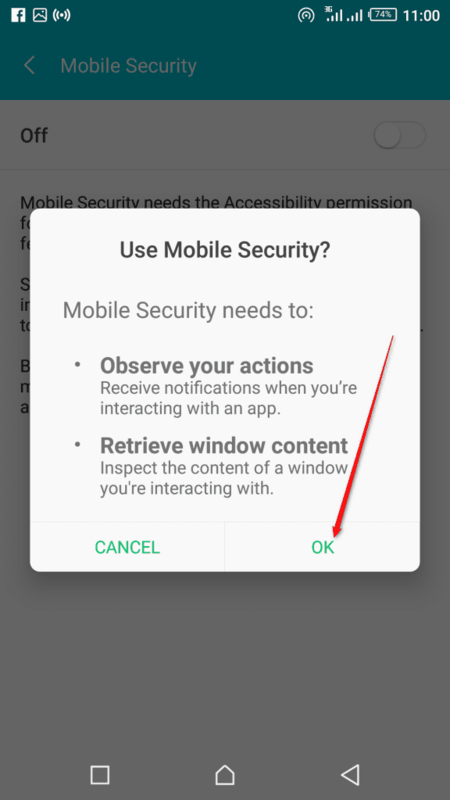 Click OK to accept the option that populates about your move to enable Trend Micro security on your smartphone accessibility feature. Now go back to trend micro under website filter and click on blocked list just below protect level. For proper effectiveness swipe to teen from pre-teen. Enter site name and site URL you want to block and click on save button. Once done this website or websites list will not be accessible again on your Android phone and we are good. With Trend Micro you should be able to block websites on Android phone using this third party app. There are some other apps to block adult contents on Android phone you can checkout. In our next post we’d take a look at those apps and share the best one with you.